The Bilingual Office Services Receptionist performs reception duties for a very busy front office as well as general office assistance. Also provides clerical support as needed to assist Office Services and other departments. Receives and routes calls, takes messages, greets and directs visitors. Types / inputs documents and records. Performs a variety of clerical and support tasks. Serves as back-up to Office Assistant in mail and supply processing. 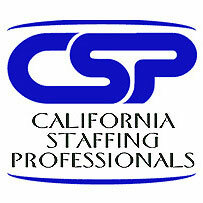 This is a temporary position located in the North San Fernando Valley. The pay rate is $14 hourly.